This is a major update that has been in the works for a while. 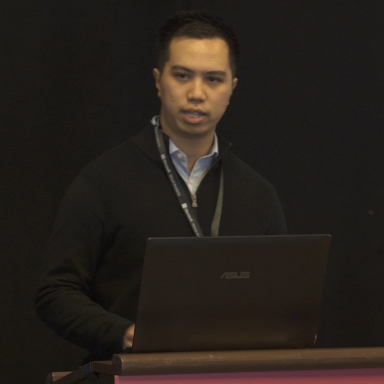 Altitude is an MVC/MVP framework for JS++. It follows a “pure MVC” approach. 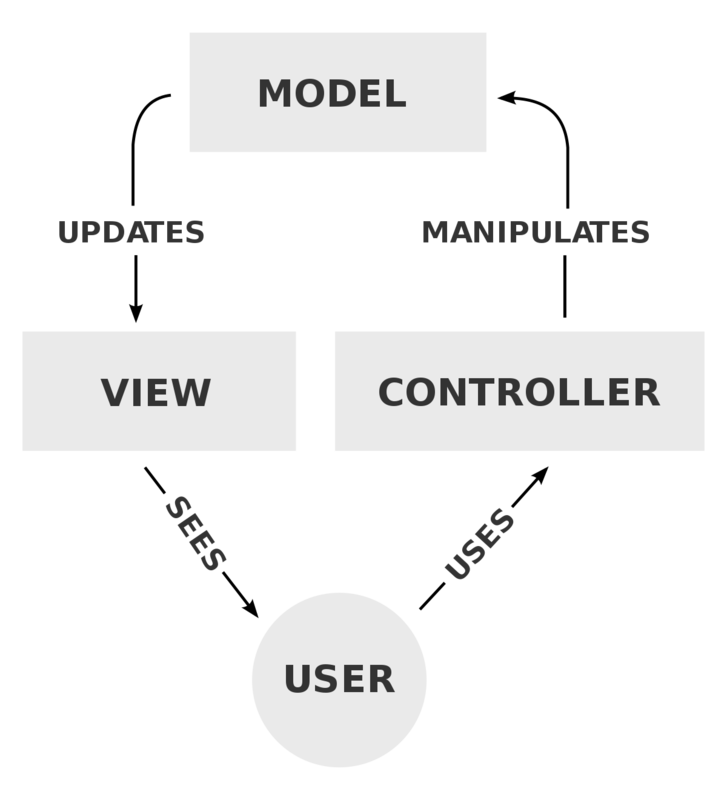 In other words, the user uses the controller to manipulate the model, the model updates the view, and the view is fed back to the user as explained in this diagram from Wikipedia. The “pure MVC” approach has historically proven to scale. Internally, we have tested Altitude for an application consisting of 3,000+ lines of JS++ code, and it has served us well. Despite the small size of the library, we’ve managed to scale it for a relatively large and complex internal email application. Examples are included to get you started. As usual, we also spoil you with documentation. Generic programming allows you to specify “type parameters” for a class. This allows you to create classes that can operate on any data type. More advanced generic programming features (such as sound covariance/contravariance) are scheduled for upcoming releases. While generics are a major feature, on a day-to-day basis, the official introduction of System.Dictionary<T> may be more important. Dictionaries are documented here and here. Dictionaries are also known as associative arrays, maps, etc. Dictionaries allow you to create key-value pairs. The keys must be strings, but the values can be any data type. This feature was available from the last release (0.7.0), but it wasn’t properly announced. Multi-line strings are a useful way to create heredocs. One use case is pasting large blocks of HTML text that you don’t want to manually escape. I consider this a critical class. If you understand the JS++ type system, you should understand the difference between “internal” types and “external” types. The BoxedExternal class basically allows you to construct an internal value (with an internal type) using any external value that has an external type. Furthermore, if you’re using System.Object in your APIs, it becomes absolutely critical. Sometimes, you might want to define a function that can accept internal or external values. This was a user request. The System.Benchmark class makes it easy for you to benchmark your code. It wasn't that this wasn't possible prior to the Benchmark class being introduced. It was just painful and unreadable. Remember: JS++ has an emphasis on code readability. In previous versions of JS++, dead code elimination (DCE) would not eliminate inherited methods. Since 0.8.0, the JS++ compiler supports DCE even in inheritance settings. This reduces the code size and footprint of the final output. Previously, JS++ supported the .jspp and .jpp file extensions. As of version 0.8.0, the JS++ compiler now officially supports the .js++ file extension too. When you input a directory to the compiler, it will automatically recursively search for .jspp, .jpp, and .js++ files now. In order to support the new .js++ file extension, you may need to update your editor support. This is probably the biggest release if you've been annoyed with the compiler warnings. We've completely suppressed the warnings for variable shadowing. JSPPW0015 and JSPPW0016 are gone. We're going to see how this goes or at least come up with saner rules before raising warnings. We've had applications internally that were raising hundreds of warnings on source code that otherwise compiled OK. The #1 design principle here is that excessive warnings cause users to ignore warnings. Thus, we're being extra careful here. Lowest Common Ancestor (LCA) for expressions. This allows the type checker to deduce the type for arrays and dictionaries when polymorphism is present. Expect Standard Library expansion and modifications. Meanwhile, generics will continue to be expanded and improved in future short-term releases.